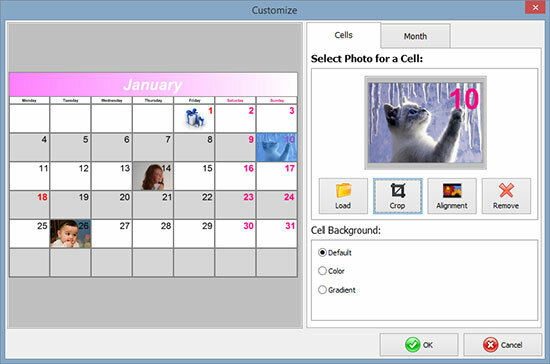 Photo Calendar Creator boasts a huge set of flexible options to create unique calendars that meet the most particular requirements and tastes. In the editor you can select an original design for your calendar and turn it into a true artistic masterpiece! Add photos, use stylish frames and clip art, and then decorate the calendar with interesting inscriptions and headings. This personalized calendar maker allows you to selectively edit holidays, weekends and workdays, set the date for the calendar's start, as well as choose the most convenient orientation for days and months on the calendar. Photo Calendar Creator also supports creating various styles of lunar calendars. Your personal calendar is your go-to helper at home and in the office!